Dublin Mid-West TD Derek Keating said that he recognised some of the crowd and has passed their names onto Gardaí. A FINE GAEL TD has been forced from his home after a group of pro-life protesters turned up outside his house and began chanting and banging on his door and windows. The incident occurred on Sunday morning when “30-plus” protesters gathered outside the Dublin home of Dublin Mid-West TD Derek Keating. When people appear like this it crosses the line. They were knocking on my door and started banging on my window. It really showed me the kind of people they are. “There’s no doubt about it, their intention was to intimidate,” he added. No I didn’t. I felt in the circumstances that it might antagonise them further. 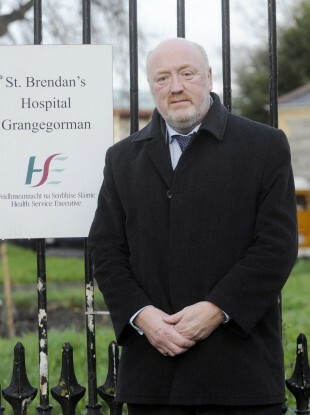 Perhaps even more shocking is that the TD said he recognised some of those in the crowd from the local community and that some of them had in fact visited him in his constituency clinic to discuss the issue of abortion in the past. Keating said he passed the name of those he recognised onto the Gardaí. As a result of what happened, the noticeably shaken deputy said that he felt it necessary to stay away from his home for a period of time. Keating, who was alone in the house at the time of the incident, said he didn’t know why he in particular was singled out. He did speculate however that he has been heavily involved with both the community and the church for over thirty years. Keating added that in all his years as a TD and councillor he has never had any problem meeting people to discuss issues of concern and that would speak to those involved in the protest again if they approached him through the appropriate channels. Email “Fine Gael TD: Pro-life protestors were banging on my home window”. Feedback on “Fine Gael TD: Pro-life protestors were banging on my home window”.